It eliminates bathroom odor before it begins by creating a barrier on the surface of the water, so you can leave the porcelain throne smelling better than you found it. Anything is possible now! 2oz spray , or 7ml travel size with 4OZ refill package. 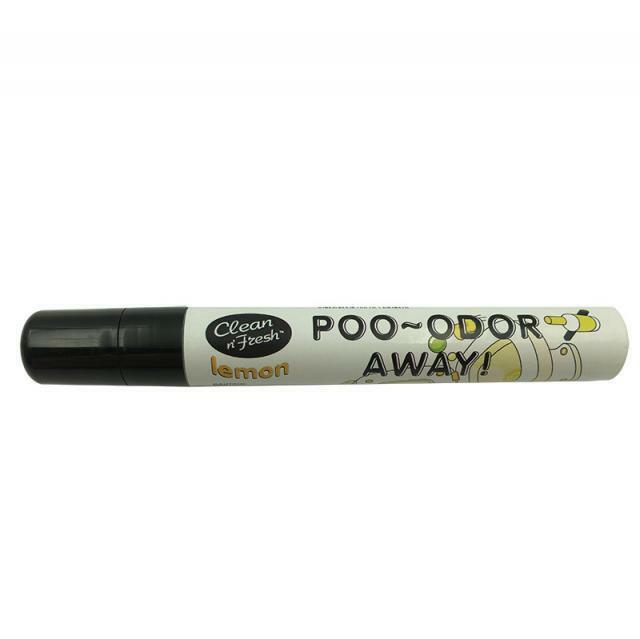 Original poo-away toilet spray manufacturer and supplier.